Michaela Chiste is a young soprano hailing from Okotoks, Alberta. Originally trained as a stage actor, she spent most of her life studying and performing in the dramatic arts and musical theatre before crossing over to the world of classical singing in 2013. 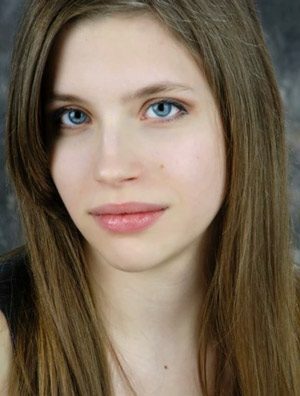 She studied vocal performance under the tutelage of John Tessier and completed her Bachelor of Music at the University of Alberta in 2017. She has performed as a concert soloist and recitalist both internationally and across Canada. As a choral soloist, she has served as a featured soprano soloist in works such as Benjamin Britten’s Rejoice in the Lamb and A Ceremony of Carols, and Bernstein’s Chichester Psalms. Her most notable work as a chamber musician is her premiering of The Dream, a cantata for soprano and pianoforte by Anders Muskins at the Alberta Mozart Festival in 2016. Some of her career highlights so far include singing the roles of Emmie (Albert Herring), The Dormouse (Alice’s Adventures in Wonderland), Jennie Hildebrand (Street Scene), Gustave (Pomme d’Api ), The Boy (Der Jasager), and Gilmer (Godspell).